I need to remind myself to not draw when I'm hungry, because this is the result. After spending a couple of agonizing hours desperately trying to draw something even remotely competent (and failing to do so) I decided to call it quits. 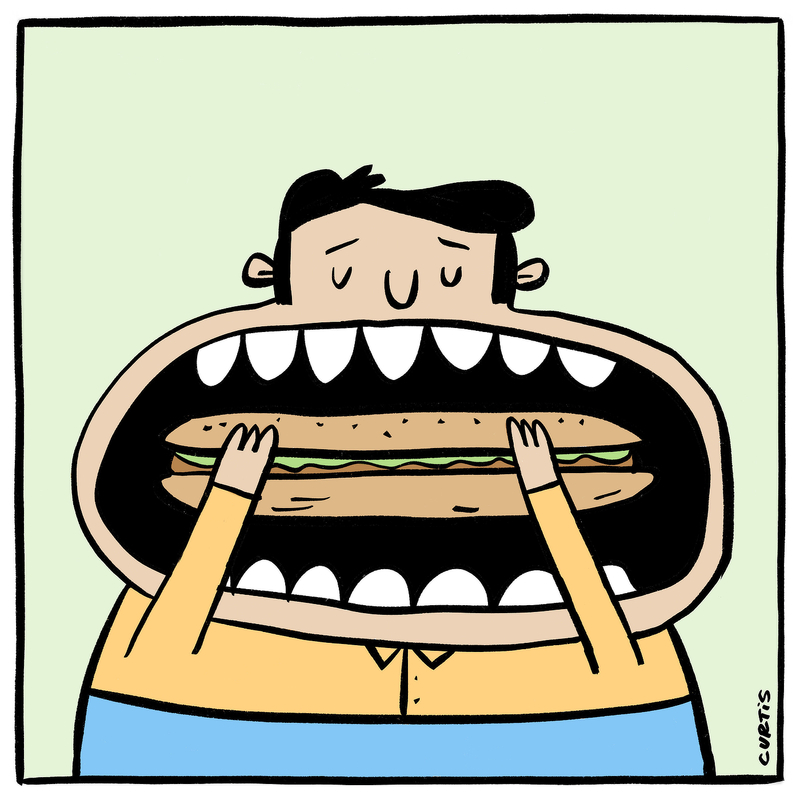 In one last stubborn act of defiance though, I hastily drew this sandwich eating fellow in about 45 seconds (which, coincidentally, is probably the same amount of time it took this guy to inhale his lunch). Anyway, I thought the drawing was kind of funny so I quickly added some colour. I felt better that my time at the drawing table wasn't a complete waste of time.